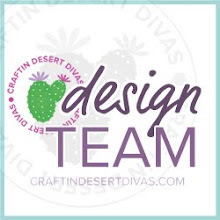 Craftin Desert Divas Blog: Yeti To Party? Hello there! 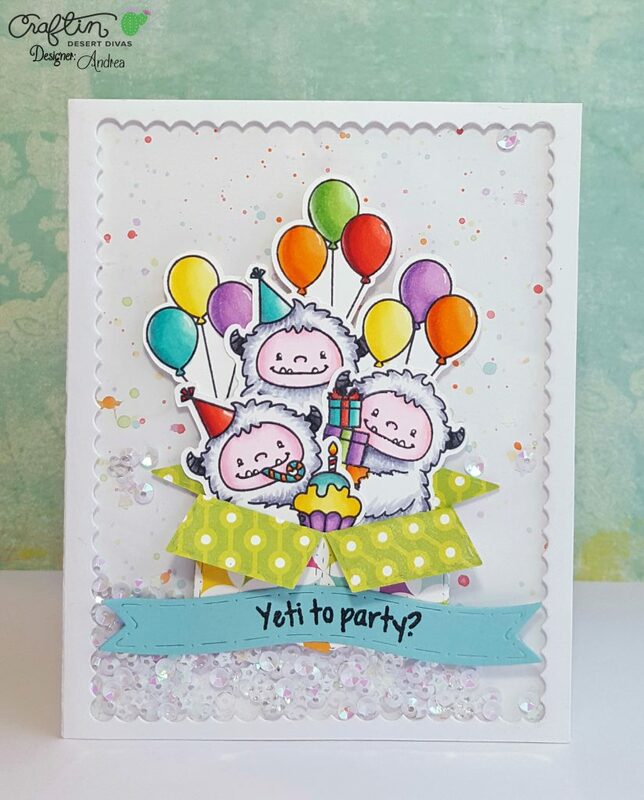 It's Andrea from Blissfully Scrappy today with a fun shaker card featuring those adorable yetis from Yeti to Party! 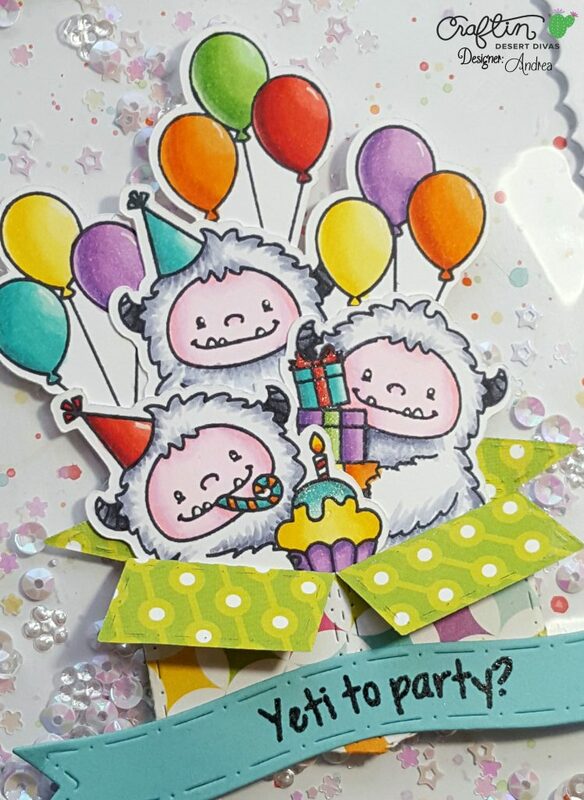 I stamped a bunch of images from Yeti to Party with Memento Tuxedo Black Ink and colored them with Copics (colors listed below). 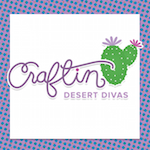 Using the new Stitched Box Die, I die-cut a box from Echo Park Paper's Summer Days paper. I die-cut a blue banner with the Flag Banner Dies and stamped and heat-embossed my sentiment onto it. hee hee...this is so fun!!! Great card!